The Sun newspaper has devoted its front page this morning to the news that many moles are considering abandoning their life underground and looking to start a new life on the earth’s surface. 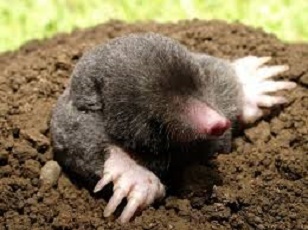 The headlines come amidst claims that a recent survey, also by The Sun, showed that 4 out of 5 moles wanted what we had and weren’t choosy about how they went about getting it. “If their lives were in danger underground we could understand it, but they’re simply doing it as a lifestyle choice.” Mr Gallagher added.